It can be difficult to know if you are serving ads to the right prospects with the best creative in order to get the best results when promoting your business on Facebook. You can measure clicks and conversions to gain a better understanding, but these statistics rely heavily on the design of your ad and can provide you with false positives. For example, you may be targeting the right prospects but if your ad is poorly designed, it won’t be receiving many conversions. 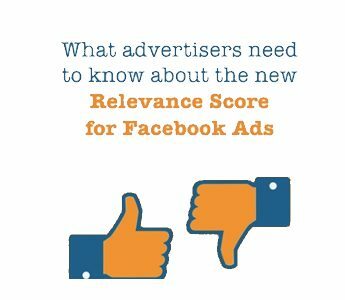 Luckily, Facebook recently introduced relevance score, a new metric that clears up the confusion. In a nutshell, relevance score determines how appropriate your advert is to your audience. Scores are based solely on the level of engagement an ad receives from your targeted audience. Relevance score does not take into account your ad objective, bid, copy, imagery or anything else. Facebook strives to provide their users the best possible experience. One way they achieve this is to serve them appropriate ads. Ads with greater relevance scores are served more frequently receiving a much greater reach. 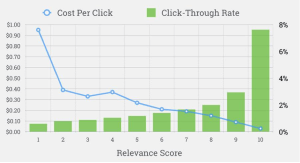 If your ads often get hit with low relevance scores, they will receive less clicks and you’ll pay more for them. 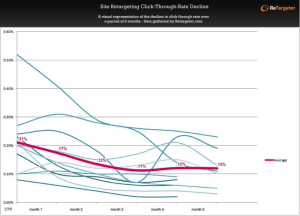 The greater your relevance score the better your campaigns will perform. 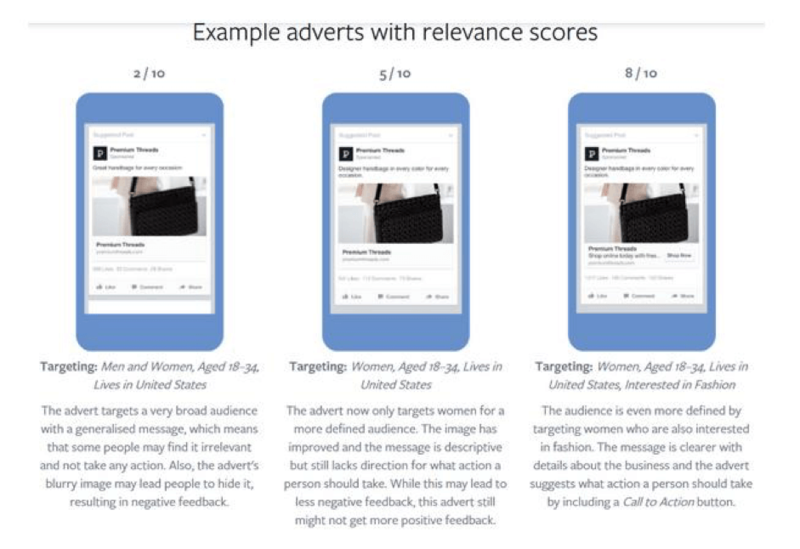 To improve your ads’ relevance score, follow these 4 tips. One of the main reasons everyone from Fortune 500 companies to local businesses use Facebook is its simplicity. Ads can be created on the fly and setup in less than a few minutes. A drawback to this simplicity is rushing ad creation and not spending enough time researching your audience adequately. 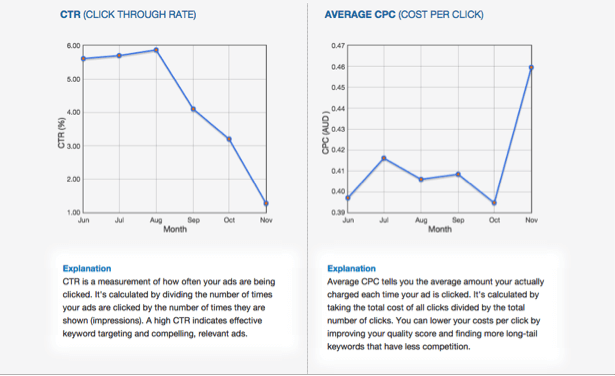 The more accurately you target, the greater your ads’ relevance score. You should think about creating your own custom audience to retarget prospects, or at the very least use Facebook Audience Insights to gain a deeper understanding of your ideal prospect and their interests. The more data you have on your audience, the better you can tailor your ad message and filtering options. Which leads us perfectly to our next tip. Complication and confusion are two roads to low relevance scores. 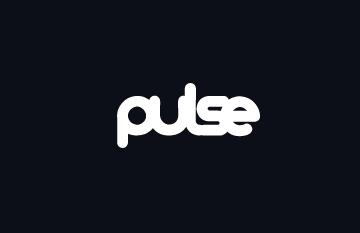 Your message ultimately decides whether a prospect engages with your ad or carries on scrolling down their newsfeed. An ad message must be concise and urge the prospect to engage. We’re not suggesting you lure prospects to engage with your ads by offering huge sums of money, but to simplify your message so as to reduce any confusion. In this example, prospects must upload a picture to win a prize. The message is plain and simple. One way to combat this is to create two or more adverts with the same message to ensure campaigns last longer and relevance scores of each individual ad remains high. As soon as your scores start falling, it may be time to drop that ad and replace it with a new version of creative and copy. If you were to place a heatmap over their ad, the only place to receive any engagement would be their call-to-action. 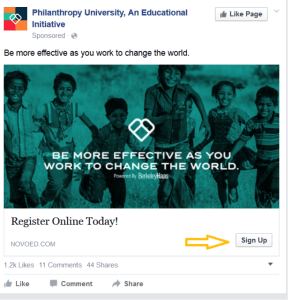 Don’t underestimate the power of call-to-actions, users scroll down their newsfeed without thinking twice, a simple call-to-action offers them a reason to stop and click. If you’re struggling with advertising on Facebook or fail to create campaigns that show a positive ROI, it’s probably because your ads aren’t relevant to your audience. 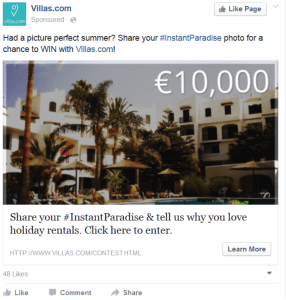 Use these 4 tips to reduce costs and increase clicks the next time you decide to run an advert on Facebook.